1945—the war was over, but what kind of world would rise from the ashes? In his global history of this transformative year, Buruma, author of books ranging from Inventing Japan to Murder in Amsterdam, chronicles stories of power struggles and mass displacement, of vengeance and rebuilding, showing that the familiar post-war arrangements were anything but inevitable. Ian Buruma reads from The China Lover: A Novel. Asian expert and Japanese film scholar Ian Buruma discusses his new novel, The China Lover, based on the life and career of actress Yoshiko (Shirley) Yamaguchi. Japanese by nationality, she was born in 1920 in Manchuria and for a time was known as Ri Koran. Her first films took place during the time of Japan's strong presence in China, and her personality was split between Chinese solidarity and a love affair with Japanese nation builders. Forced to return to Tokyo during WW II, Yamaguchi subsquently worked in pro-America and pro-democracy films. Moderated by Tom Vick, Film Programmer, Freer and Sackler Galleries, Smithsonian Institution. 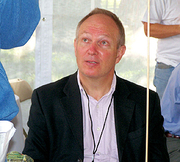 Ian Buruma is currently considered a "single author." If one or more works are by a distinct, homonymous authors, go ahead and split the author. Ian Buruma is composed of 4 names. You can examine and separate out names.